Congratulations to the tournament winner: Amnesiac. This is a list of all the decks used during the 2016 Hearthstone Winter Championship (Americas March 11-13). Surprisingly, there was no Priest deck during this tournament. The 2016 Hearthstone Winter Championship (Americas) tournament is over with Amnesiac claiming the Winner prize. Below you can watch Day 1-3 VODs. With Patch 4.2.0.12051 released today, the Whispers of the Old Gods pre-purchase is now available in the in-game Store for $49.99. Read the patch notes below for more details. Blizzard Entertainment announced the new Hearthstone: Whispers of the Old Gods expansion during the Winter Championship livestream. It’s unknown at the moment if this is an early leak or a good photoshop. We’ll have to wait until tomorrow Friday when Blizzard Entertainment announces whatever it is they will announce during the Hearthstone Winter Championship livestream at 1pm EST / 10am PST. Additionally, this short video showing the in-game store has the Whispers of the Old Gods sale page. Found this russian forum discussing rumors. Blizzard Entertainment prepares to make an important Hearthstone announcement during the tournament livestream. Speculation is the new expansion (few cards and features) might be revealed. If you love to watch eSports, continue reading. The Hearthstone Championship Tour’s Winter Season will come to an epic conclusion in March with the crowning of the Winter Champions. Across three consecutive weekends, the Americas (March 11-13), Europe (March 18-20) and Asia-Pacific (March 24-26) Winter Championships will take place in Hollywood, California. Each weekend, the eight qualifying players from their respective region’s Preliminary event will be flown in to battle it out and stake their claim as that region’s Winter Champion. The venue will be closed to a live audience – all of the action will be available on stream throughout the weekend. The winners will earn a spot at this year’s Hearthstone World Championship, and earn a share of each Championship’s $100,000 prize pool. don’t miss the special Hearthstone announcement on March 11 at 10 a.m. PST! Visit the FiresideGatherings.com website to search for BarCraft viewing parties to watch the livestream with other fellow Hearthstone players, and to play of course. **Read further details at the official Hearthstone blog. Tune in March 11 at 10:00 a.m. PST to see what has been lurking unfold live on Twitch! For more information on the Hearthstone Winter Championships, head on over to this blog to find out more. You won’t want to miss what we unveil, so be sure to follow the Hearthstone Twitch channel to be notified when we go online. We’ll see you there! Blizzard Entertainment has announced a new expansion will be announced this Spring, but before that happens we will get a special buff to Hearthstone adding 9 additional deck slots to those who have unlocked all hero decks previously — for a total of 18 deck slots. In addition, there will be two formats: Standard and Wild. The way you have played until today is dubbed “Wild” format. The new format is dubbed Standard. Those who play Casual or Ranked in Standard will be matched with other players who chose Standard. Those who play Casual or Ranked in Wild will be matched with other players who chose Wild. Is the new format confusing you? Basically, Standard decks won’t have Naxxramas or Goblin vs Gnomes cards throughout 2016. In short, “every set that wasn’t released in the same year or the year prior will cycle out and no longer be part of the Standard format.” Only Standard games will be considered toward Championship Tour points and World Championship. These are the eSports related questions below, but there is a broader FAQ section here. How will Ranks work in Standard and Wild? 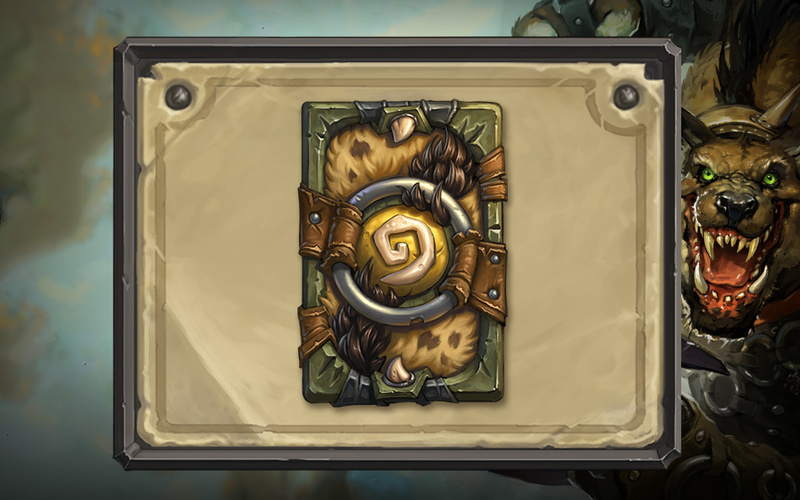 When Standard format arrives, your current rank will be “split” and applied to both Standard and Wild in Ranked play. For example, if you are Rank 5 when formats arrive, you will be Rank 5 in Standard and Rank 5 in Wild. Afterwards, you’ll have a separate rank and match making rating for each format, so you can earn ranks and hit Legend in both Wild and Standard individually. You’ll only collect ranked rewards at the end of the season based on the highest rank you attained in one format or the other, but not both. Regardless of which format you earned your rewards in, end of season bonuses will be comprised of cards that are usable in Standard format. Note that you’ll have one match making rating that is shared between both Standard and Wild formats when playing in Casual. Will you feature the top 100 Ranked players for both the Standard and Wild formats? Currently, we plan to feature only the top 100 players in Standard format. Can I earn Hearthstone Championship Tour points by competing in Ranked in both formats? No. Standard will be the only format that offers Hearthstone Championship Tour points for 2016. Will all official Blizzard esports events be played in Standard format? Yes. Standard is the official format of the Hearthstone Championship Tour and the Hearthstone World Championship in 2016. The 19th D.I.C.E. Awards has nominated Hearthstone: Heroes of Warcraft in the Outstanding Achievement in Online Gameplay category. The D.I.C.E. Awards ceremony will take place on Thursday, Feb. 18, 2016 at Mandalay Bay Hotel Convention Hall. The Academy of Interactive Arts & Sciences is proud to honor the year’s finest achievements in video games with the 19th Annual D.I.C.E. Awards (#DICEAwards), hosted by comedian, podcaster, voice actor and cartoonist Pete Holmes. Academy members begin voting for the video game industry’s premier peer-based awards show Thursday, January 14th at 3 PM PST; the winners will be revealed at the Awards ceremony on Thursday, Feb. 18, at The Mandalay Bay Convention Center in Las Vegas at the conclusion of the 2016 D.I.C.E. (Design, Innovate, Communicate, Entertain) Summit (#DICE2016). This year, the D.I.C.E. Awards ceremony will honor Satoru Iwata as its Lifetime Achievement Award recipient. Also being honored this year as the Hall of Fame recipient is Hideo Kojima, world-renowned game creator and auteur recognized for the best-selling Metal Gear series. Are You Prepared for the Ruined City? Continue Your Hearthstone Adventure Today! The Ruined City wing has been unlocked today in the Hearthstone: Explorer’s League Adventure. Login and purchase your access to the Ruined City wing for $6.99 or 700 gold. Well, that last location certainly got the heart pumping, eh? Well, don’t extinguish your torch just yet. The third location — the Ruined City — is now open. To aid you in your struggle against the scaly and slippery terrors that await you within., refined gentleman and scholar Sir Finley Mrrgglton will be joining your quest! Brave the Ruined City and you’ll be one step closer to claiming your prize. To venture into the Ruined City, log in to Hearthstone and make your way to Solo Adventures. What’s the League of Explorers? The League of Explorers is the all-new single-player Hearthstone Adventure. Here you’ll embark on a journey to explore Azeroth’s most mysterious archaeological sites and discover ancient treasures alongside a merry band of explorers! I’ll be a challenge, but if you make it out to the other side in one piece, you’ll reap some awesome rewards. League of Explorers has a total of 45 new cards up for grabs; including 9 class-specific cards awarded by Class Challenges, and features two all-new interactive game boards!